At Allure Laser and Beauty we believe it's important to look after the most important person in the world. YOU. Our aim is to provide our clients with a total body care solution. Our services include waxing, laser hair removal, laser skin rejuvenation, ELOS and IPL, manicures, pedicures, weight loss, non surgical face lifts, facials, lash and brow tinting, remedial massage, spray tan and botox. Feel free to ask our beauty therapists about our services. 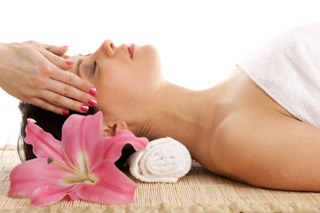 Your beauty therapist will work with you to determine the most appropriate treatment that will both pamper and relax you, and address any beauty concerns you may have. At Allure Laser and Beauty we use only the highest of quality Barbor and Palactive products. From luxurious facials, gentle waxing to manicures and pedicures, there are many options available to you. So sit back, relax, and let Allure Laser and Beauty pamper you!